Tattoos of Ann Owens, 1853. Four of the prostitutes who worked on Charlotte Street and Whitmore Lane were definitely tattooed. I've found this out from prison and transportation records when the women received long sentences. Three were transported to Van Diemen's Land in 1850 and 1851 and one served very long prison sentences in 1853 and 1856. What they reveal is that they were not tattooed with pictures but with the people they regarded as important in their lives. This blog contains offshoots from my research into Charlotte Street and Whitmore Lane in Cardiff, two very bad streets for my book 'Notorious'. See my earlier blog posts for an overview. She has six sets of initials, three on the lower right arm and three on the lower left arm. Initial tattoos are extremely common from this time and it seems most who were tattooed first had their initials done, I suspect this was done among the sailing community for identification of their body if found drowned. Maria's tattoos can be divided into family on the right and partners on the left. Maria was in contact with her mother until she was transported. The JC may be another relation or a lover but I can't find any evidence if that is so. GJ: This is George Jenkins, a boyfriend from Friar's Fields- see below. RW: I don't know this one. AD: This is Alec the Devil, aka Alexander Thomas- see below. George Jenkins assaulted Maria Meyrick very badly and was sentenced to fifteen years penal servitude for it in August 1845. By December he was on his way to Australia and he died there ten years later. If Maria Meyrick regretted having his initials tattooed on her arm, George Jenkins probably did as well, on his right arm he had his own initials, and on his left arm he had MM. Maria Meyrick left Newport in late 1845, she had been assaulted by George's sister before the trial and was also being assaulted by the Yarwoods, a big gangster family in Newport. This is where her other two tattoos were done. RW: I've not been able to find any likely candidates for RW. AD: Alexander Thomas was with Maria Meyrick on the night of the 1847 murder in Whitmore Lane. His nickname was Alec the Devil, and I think she was in a relationship with him. He was transported for fifteen years for his main part in the murder (he kicked a middle aged man to death by rupturing his groin and bowels). Maria got 18 months in Cardiff Gaol, which is possibly where she got the tattoo. Maria herself was sentenced to 7 years transportation in December 1850 for another brothel robbery. She travelled on the Anna Maria to Van Diemen's Land in October 1851. 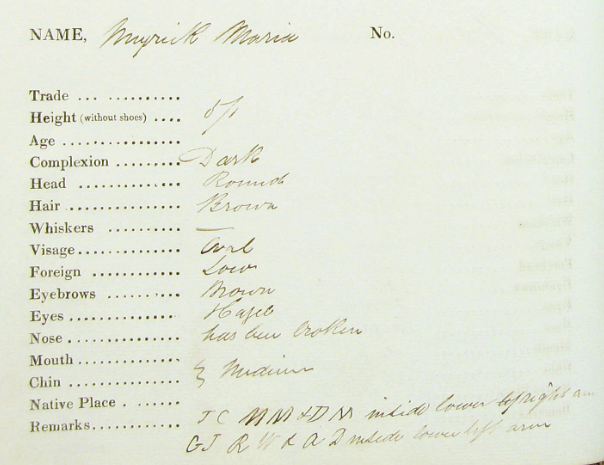 Mary Ann was transported with Merry Meyrick on the Anna Maria in October 1851. She was another Whitmore Lane prostitute. Interestingly her sister had been transported over ten years earlier in 1839 for a prostitute theft from Whitmore Lane as well. She has MP LA inside her lower left arm and TW MAP on the upper right arm. One arm is easy to interpret- The LA is for Lemuel Anderson, a bully of Whitmore Lane who started his criminal career stealing ducks in 1848. Read more about Lemuel and the bullies here. 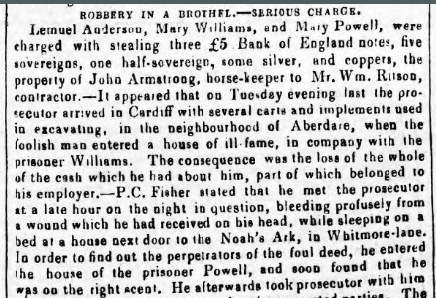 Mary Ann and Lemuel were arrested together in 1851 when they hit a man over the head with a poker while he slept in a brothel- they netted over £15 so they hot footed it to Newport to spend the money- one of the gang was so drunk when they arrested her they couldn't bring her back to Cardiff until she sobered up the next day. After this robbery Mary Ann Powhill got seven years along with Lemuel Anderson, though Lemuel stayed in this country as it seems only women were needed in the new world. I've also got Lemuel's tattoos from his conviction records- and he had MA.POWELL LEM ANDERSON tattooed on himself too with a heart on the right arm and LA MAP on his left arm. He also has lots of pictures, which the women seemed to avoid. Mary Ann Powell's other initials- TW MAP on her right arm are intriguing. I can't find any likely partner reference for TW. There is a Mary Powell on the 1841 census as a servant to Thomas Wedlake, a coal merchant and councillor in her home town of Newport- though her age is a bit out. I can't find any reference to Mary's mother and father Andrew on the census so perhaps this was her father figure? He died in 1843 and perhaps then she turned to prostitution? Bridget Kelly, Alias Sancta Maria, Sandy Maria & Saucy Maria. We've already met Bridget Kelly above, she was part of the Whitmore Lane murder in 1847 and got an 18 month sentence along with Maria Meyrick. When she stole seven pairs of stockings from a street hawker in 1849 she was sentenced to be transported for seven years. She went to Van Diemen's Land on the Aurora which left on April 22 1851. James Bevan doesn't seem to have been much of a criminal though and Bridget went to live in Cardiff and seems to have left him behind. Ann Owens, Alias 'Little Punch'. Ann Owens started her life of prostitution and theft in Swansea when she was aged just 12. She went to prison for long sentences twice, once in 1853 and again in 1857. This is lucky (for us) as it allows us to see how her tattoos changed over that three year period. 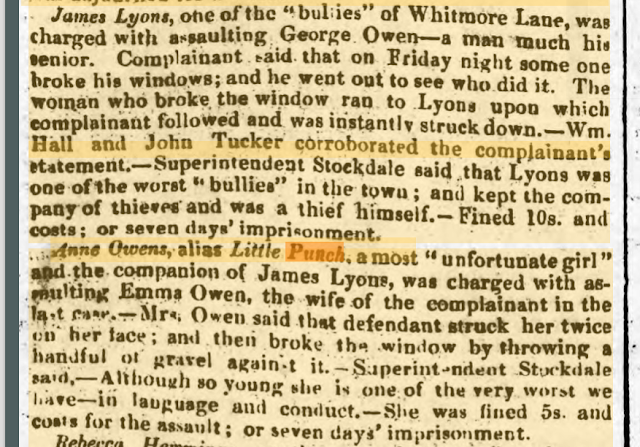 Ann Owen's description from Swansea Gaol, April 8th 1853. In 1853 she has JL and JAMES LOYN on her right arm. This is James Loynes/Lyons/Lion, grandson of the brothel owner Mrs Prothero where Ann Owens worked in the 1850's. 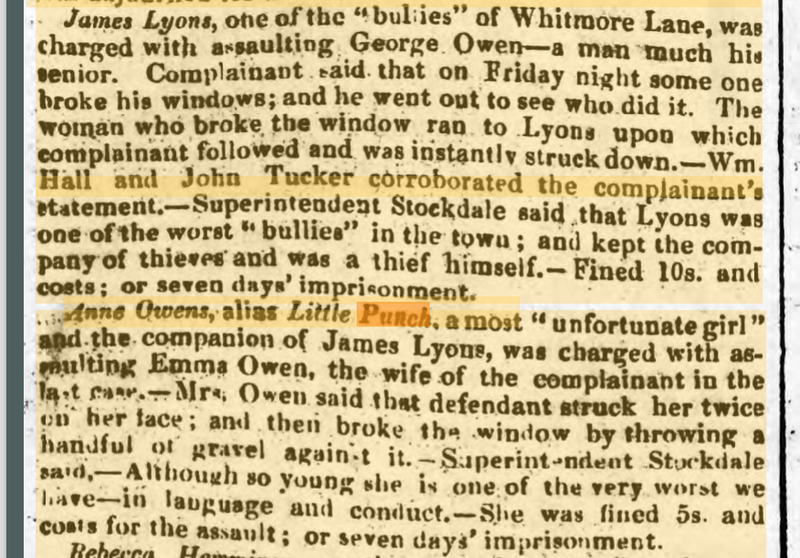 James Loynes worked there as a bully and they courted a little while in early 1851. They enjoyed beating up the neighbours. Ann's relationship with James Loynes didn't last long as he was going out with another girl from the brothel a few months later when he was imprisoned for life for killing a sailor in his step-fathers pub. On Ann's left arm is CO, very probably her sister Catherine Owens, also a prostitute who worked in the same brothel as Ann. The MK initial is a bit more awkward to research but I think it's either Michael Keefe or Michael Kelly, both itinerant Irish labourers around at the time (Bridget Kelly above had a brother called Michael). Considering James Loynes had a child with another woman it seems that Ann has tried to get rid of James Loyn from her body as the transcriber writes 'James Lloyd' instead of 'Loyn' and the JL has now turned into an EE- for Edward Evans that she has in full on the left arm. Edward Evans was a boatman in Merthyr Tydfil who, funnily enough, was in court on the same day that Ann got her ten year sentence. 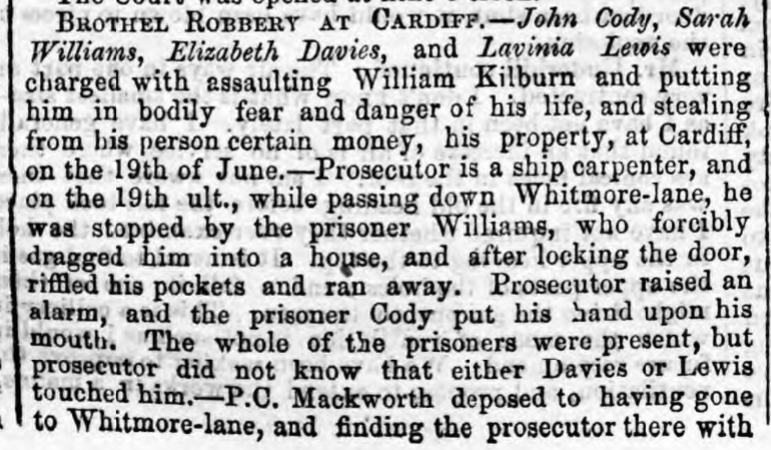 He had stolen some mutton with a group of boatmen and got a year in Swansea Gaol. Boatmen were often also bullies, the canal led from China down to Whitmore Lane and the boatmen mixed in the beerhouses and brothels at either end. In the five months that she was free in Merthyr Ann must have had a relationship with him. John Cody, tattooed on Ann's right arm, is not hard to find, he committed a brothel robbery in July 1856 and got a year in prison for it. It is another case of a bully for a boyfriend for Ann. The 'Angelina' tattoo is the most poignant of them all. Ann Owen gave birth to Angelina Owens in Millbank prison in 1853. Little Angelina went with her to Brixton prison where she died aged one years old. Angelina had secondary syphilis, little surprising since her 20 year old mother had already been a prostitute for eight years. The death is recorded by the head nurse at Brixton prison Mary Smith. 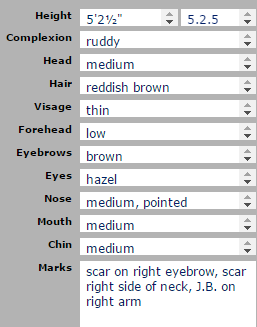 This very small three women case study shows that the prostitutes recorded the names of the people that were important to them on their bodies. In the case of Ann Owens and Angelina her tattoo was probably the only thing she had to remember her by, I don't think she would have attended the burial and was probably not present at her death either. Since writing this blog I've read the great book 'Convict Tattooes' by Simon Barnard (Text Publishing Australia, 2016). With the convicts that he studied he came to the same conclusion- 90% of his tattooed women had initials or names as their tattooes. Though I'd disagree with the scholar he quotes as saying that initials on prostitutes were often of their clients, and ones on men were often of prostitutes they frequented. As this article proves it was much more nuanced than that- the men and women were partners and lovers not just clients. 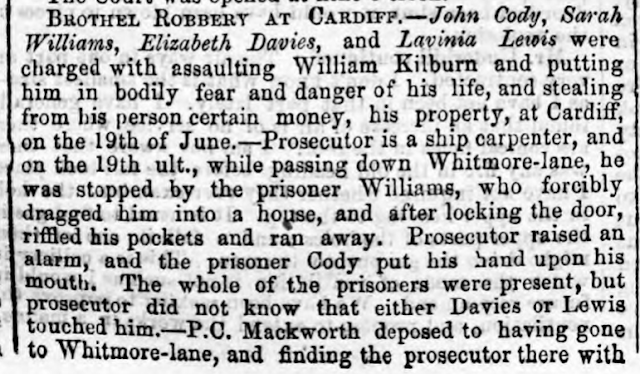 For the basics of the 1847 Whitmore Lane murder see CMG 1848 March 4th, p.2. Maria Meyrick's transportation sentence see CMG 1850 Nov 23rd, p.2. Her mother Dianne intimidating witnesses: CMG 1847 Dec 18th, p.3. Maria and George Jenkins' sister: CMG 1845 July 5th, p.3. Maria and George Jenkins assault: MM 1845 Aug 9th, p.4. Robbery: MM 1850 May 30 p.4. Convict Records: Anna Maria Oct 31 1851. 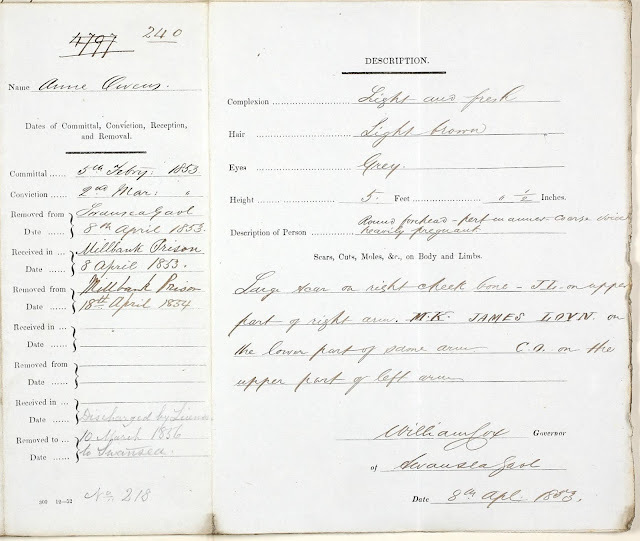 Convict Records are online with the wonderful Female Convicts Research Centre. 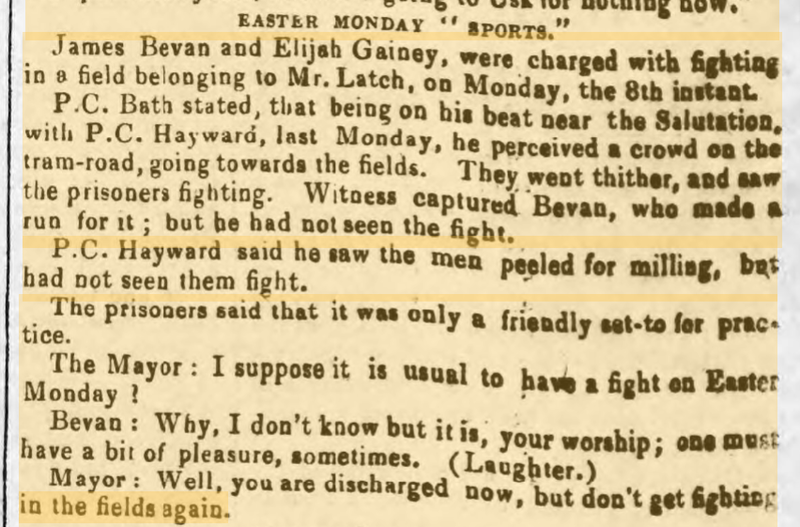 James Bevan: MM 1844 April 20th p.3. Ann and James Loynes: CMG 1851 Feb 22nd p.3. Catherine Owen: CMG 1852 May 15th p.4. John Cody MM 1856 July 12 p.6. Edward Evans: CMG 1856 Oct 18th p.6.